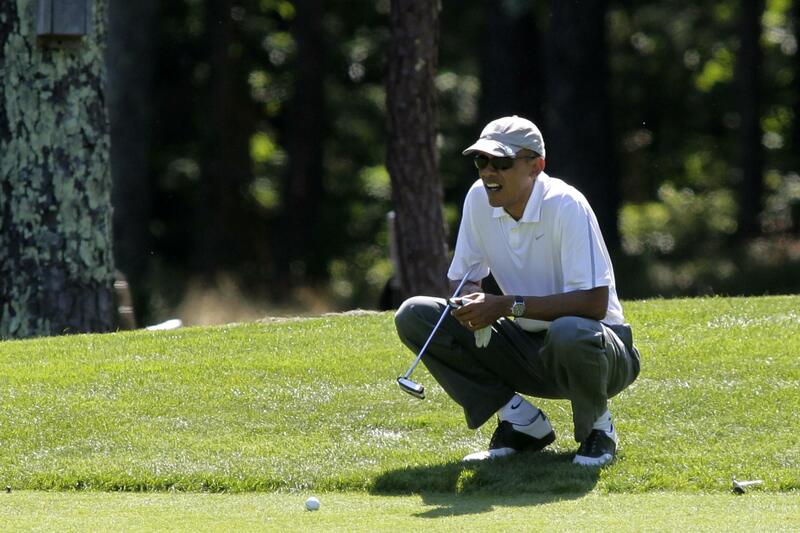 Obama vs. Trump: Who Is The Better Golf Player? Donald Trump, who a year ago criticized President Barack Obama for playing “more golf than Tiger Woods,” returned to the golf course Saturday, ditching the press pool tailing the president-elect. Trump actually joined golfing great Woods last week on the course, interrupting his schedule of transition meetings while at his Mar-a-Lago resort in Florida. And, despite his upcoming inauguration next month, Trump was back swinging his clubs on Saturday at Trump National Golf Club Jupiter, situated near his resort, ditching his press pool in the process, reported the Associated Press. But a year ago, Trump, then on the campaign trail, used Obama’s affection for golf to direct one of his many criticisms toward the current president. Obama was also golfing this week, hitting the course in West Oahu on Wednesday during his family’s annual vacation in Hawaii. And the president has been a frequent golfer during his eight-year tenure in the White House. Indeed, in August he racked up his 300th round as president. Those claims appear to be accurate, which is not surprising given his handicap is reported by Golf Digest magazine to be an impressive 2.8. However, Trump’s methods of getting around the course have been called into question by numerous people. Both actor Samuel L. Jackson and boxing great Oscar De La Hoya have accused the Republican of bending the rules. Asked in January whether he was a better golfer than Trump, Jackson replied simply, "Oh, I am, for sure — I don't cheat."